All Around Rental is where you can find everything you need for all of your projects, whether it's a drill or an excavator rental! We have the tools and equipment rentals you need to get the job done right! All Around Rental can also help with all your party needs, whether it’s a BBQ, birthday party, reunion or wedding! We have all your party needs covered!! All Around Rental features an impressive selction of bouncy houses and inflatable slides, including: inflatable bounce castle, Scooby Do Bounce House with slide, race car bounce house, inflatable bounce house, dinosaur bounce house, Blue Dog Bounce House, Disney Princess Bounce House, Nemo Club Bounce House, Disney Little Mermaid Bounce House, round bounce house, inflatable boxing ring with gloves, multi-activity bounce house, California Wave and the water slide. Looking to equip your party? Look no further than All Around Rental. 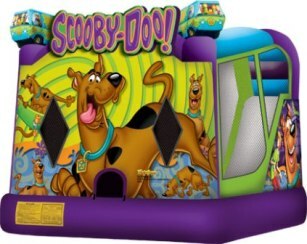 Party rentals include boom blasters, raffle drums, floating gallery games, digital basketball games, Pit Stop Challenge, dunk tanks, bubble machines, bull horns, helium tanks, p.a. system, vending booths, golf carts, portable bars, inflatable sky dancers and tent lights. All Around Rental also rents snowmobiles (complete with helmets) for the half-day, full day and weekend.